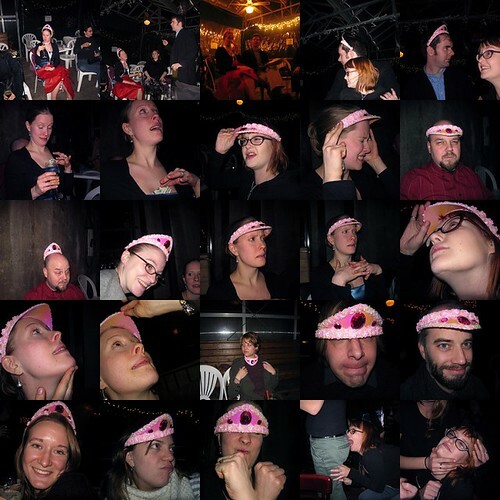 Anna’s BirthDay @ DBA Mosaic, originally uploaded by LugoLounge. Anna’s Birthday, blablabla, DBA, BLABLABLA, Drinks blabllabla, fun. check it out. you read the paper too? you must be old as well. is now a good time for me to start singing “you’re so vain”? mm. yes. i think someone feels rah-ther photogenic when when she’s wearing a tiara. . . . thank you for documenting the debauchery! oooo i come baring gifts for one mr. lounge! !